Once upon a time, Kavalam was a village in Kerala that lived in the seasons' rhythms and the ebb and flow of the waters of the Pamba river and the Vembanad backwaters, accessible only by country boats. People were bound together by a precarious agrarian economy that was always at the mercy of the elements. Life revolved around agriculture; men and women worked on farmland claimed from the shallow parts of the Vembanad and protected from its rampaging waters by mud bunds. Nature constantly conspired against man and beast in these parts and people needed to stay together to survive. The spirit of collective action, despite the deep divisions of caste and class, permeated every aspect of life including its music, not out of choice but necessity. People invoked the gods and ancestral spirits with dance and music against a vast canvas of water and sky. It was here that Narayana Panikkar was born in 1928. The place shaped him and stayed with him all his life, its rhythms finding expression in his poetry, songs and theatre. The man had become the place and the place had become the man. He found a natural vocation in the theatre, having grown up in a landscape where collective action pervaded all aspects of life, and the drama of the place and people left an indelible mark on all his creative work. Panikkar's family, Chalayil, were pioneers in reclaiming the backwaters for paddy cultivation. One of his uncles, K.N. Panikkar, had made his mark as a historian, writer and administrator, whose scholarly pursuits and professional assignments took him to various parts of British India. Whenever he was home, a galaxy of writers, especially the great poet Vallathol Narayana Menon, and artistes would arrive in Kavalam to be with the scholar-writer. The young Panikkar got to spend a lot of time with these illustrious artists. At home he was introduced to classical arts such as kathakali, thullal (a story telling performance), Carnatic music and Sanskrit. Elsewhere he imbibed the arts of the plebeians, folk beats, vaitharis (thalas), and the songs of farmhands, duck farmers and boatmen. This was the university where Panikkar learned his art and craft. After basic education in Kavalam, Panikkar trained to be a lawyer in Madras and practiced for a while at the court in Alappuzha. This is where he started his experiments in theatre, in the 1960s. It was a time when the modernist movement in Kerala was taking root, with the first impressions appearing in poetry and fiction. Writers like M. Govindan and C.N. Sreekantan Nair stressed the need for a native (tanathu) language in theatre as well. In Chennai, the painter K.C.S. Panicker was searching for an indigenous language of art in his Words and Symbols series. Kavalam's own cousin Ayyappa Paniker, N.N. Kakkad and others were transforming native rhythms and colloquial idioms to write poetry that was modernist in sensibility and form. A theatre workshop held in 1967 was a turning point in the history of Malayalam theatre, where writers debated the idea of thanathu natakam: native or indigenous theatre. Three then-prominent avant garde Malayalam theatre persons – CN, Kavalam and G. Sankara Pillai – initiated this inward gaze. While CN was more of a classicist, as witnessed by his magnificent Ramayana trilogy, and Sankara Pillai preferred to experiment with all genres, Kavalam returned to the myths and poetry of his village and its surroundings. CN, who died young at 48, was inherently a man of the word and the text, whereas Sankara Pillai had a pedagogue in him. The latter produced a corpus of work that was also meant to provide sufficient material for serious theatre students to study and perform. He and Ayyappa Paniker prepared the theoretical armature for students and performers interested in serious theatre, writing extensively on aesthetics and the practices of desi, margi and videshi art forms and practices. Sankara Pillai was also a pioneer in organising nataka kalaris (workshops) in different parts of Kerala, involving students especially. It is interesting that similar inquiries into a modern and indigenous theatre were going on in other parts of India as well; but the debate in Kerala was concerned more with a Malayalam theatre, rooted in the performative traditions, both classical and folk, of the Dravidian landscape. 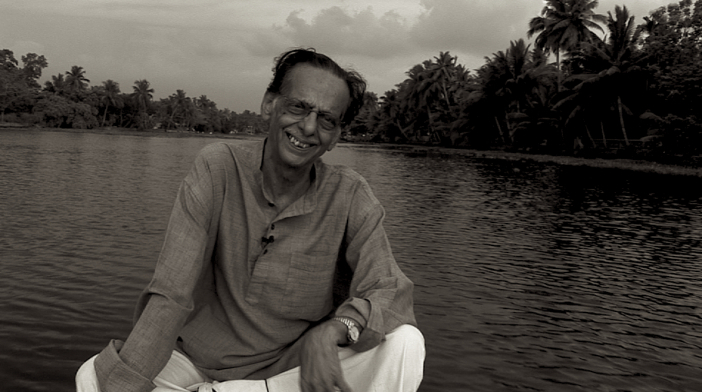 Kavalam, who started out as a poet and playwright, was more interested in the stage practice of the 1960s, and preferred others to direct his works. One of his earliest plays, Sakshi, was published in Kerala Kavita, an avant garde journal edited by Ayyappa Paniker, with the description "kavya natakam". Sakshi was staged by K.K. Paniker, who taught economics at a college in Alappuzha, and Kumara Varma, then a fresh graduate from the National School of Drama. Plays like Sakshi, and subsequently Deivathar, Thiruvazhithan, Avanavankadamba (set around the Valadi temple), Suryathanam, Ottayan, and Karimkutti (rooted in thouryathrikam: music, dance and percussion) were pioneering plays that shocked Malayalam theatregoers. Conservative opinion, right and left, criticised him. One set could not accept going beyond the proscenium stage and realist portrayals, whereas the other felt Kavalam was museumising folk art in the name of theatre. Kavalam, of course, didn't bother: in fact, he has said how the savage criticism Sakshi received from the reigning titans of the Malayalam stage convinced him he was on the right path. Until the 1960s, Malayalam amateur theatre mostly imitiated the realist proscenium plays in European languages – a prominent playwright, N. Krishna Pillai, was even called Kerala Ibsen – or was under the influence of populist Tamil musicals. The first big departure was made when the social reformers of the 1930s and 40s found theatre a handy weapon to challenge the orthodoxy and to spread liberal, humanist values among a largely illiterate population chained by the conservative values of caste, religion and feudalism. V.T. Bhattathirippad’s Adukkalayil Ninnum Arangathekku was one of the earliest examples in Malayalam of theatre for social change. The social reform movement gave birth to other similar plays, Premji’s Rithumathi, M.R. Bhattatirippad’s Marakkudakkullile Maharanarakam and Thozilkendrathilekku, K.T. Muhammed’s Ithu Bhumiyanu and so on. The emerging communist movement took a cue from the social reform movement and made theatre an integral part of its mobilising campaigns. Communist ideologue K. Damodaran’s Pattabakki, Cherukad’s Nammalonnu and the many plays of KPAC (the equivalent of the IPTA in Travancore), especially Ningalenne Communistakki, projected the idea of theatre as a space to educate and propagandise. Radical in content these plays were, but the stagecraft followed the idiom of commercial theatre. Kavalam, like other modernists of his time, rejected this approach to the stage. To him, the politics of theatre lay in the language of performance. The search for a nativist idiom in art practice interested him; he also discovered theatre in the many temple rituals and art forms. The 1960s were also a period when Kavalam extensively archived Kerala's folk traditions for the Kerala Sangeeta Nataka Akademi. These encounters with traditions outside Kuttanad in turn enriched his own idiom. His poetry flourished, standing apart from the modernist stream with its rural themes, mythological allusions and folk metres. In fact, he described it as a part of the pattu parambaryam (oral musical tradition) in Malayalam. A reading of his not-very-large corpus of poems reveals that they were his way of singing his village, its myths and people. They are not only musically rich, but are mostly narrative pieces which emphasise the dramatic and the conversational. Poems like 'Ganapathithalam' and 'Mannu' were experiments in the use of traditional rythms and chants endemic to Kuttanad, reviving the folk spirit in order to narrate the symbiotic existence of a people and environment rooted in and transformed by the practice of farming and associated activities. There is a hint of the immense pride farmers have in their vocation, though the unpredictable nature of the harvest forces them to live on the edge. Other works like 'Kothamoori', 'Ekkalappennu' and 'Chhoottupadeni' are narrative poems. 'Tharavukaran' is a poignant lyric that recalls the unrequited desire of a duck farmer for a young migrant farmhand. Then there are works such as 'Velan Velu', which invokes the tempetuous life of a village sorcerer and his mysterious arts. These poems paint Kuttanad in all its tortuous beauty – the world of largely poor folk who find solace in music and myths, living in a landscpe of great beauty. Even so intensely personal a work as 'Vilkunnilividam' becomes a reflection on the changing patterns of life in Kuttanad, and the looming ecological devastation. An extremely important artistic contribution of Kavalam, the poet, is the rich vocabulary of local usages, words, terms and thalas in his almost untranslatable poems. Much of these are no more in use even in the region. The use of a standardised Malayalam meant the disappearance of a whole language with roots in the land, evolving in tandem with agriculture. Thakazhi Sivasankara Pillai, another great chronicler of Kuttanad, similarly preserved the many linguistic registers found in Kuttanad and Alappuzha, its urban heart, in his novels. Kavalam did something similar in his poems. In 1974, Kavalam shifted base to Thiruvananthapuram, which provided a wider canvas for his talent. He found a soulmate in G. Aravindan, the celebrated filmmaker who directed Avanavankadamba. His repertory attracted some of the finest actors in the state, among them Gopi and Nedumudi Venu, who would go on to change the grammar of acting in Malayalam cinema. Both recognised Kavalam as their guru, while Aravindan got him to collaborate in films including Esthappan, Kummatti and Marattom. This was also the time that the popular Malayalam middle cinema directors Padmarajan and Bharathan invited him to write lyrics for their films. Songs like 'Poovankuzhali penninundoru kilunthupoloru manassu', 'Gopike nin viral thumburu meetti', 'Mukkutti thiruthali' and 'Pularithoomanju thulli' are considered classics today. A third area where he had a remarkable impact was the theory and praxis of mohiniattam, a dance form indigenous to Kerala. His focus was on recovering the dance from the influence of bharatanatyam and Carnatic music. His idea of the sopanam tradition, in music and dance, to recognise and retrieve a Kerala tradition from the larger Dravidian performative ones is encapsulated in the monograph Sopanatatvam. This constant search to distil the singularity of tradition and celebrate indigenity is a hallmark of his creativity. At 88, Kavalam had lived a full life, having created a corpus of plays, a language of theatre, and an array of distinguished actors. In recent years he would return every summer to Kavalam to conduct a month-long camp meant to introduce schoolchildren to the theatre and to Kerala's traditional performative tradition. He returned to Kavalam one last time on June 29, this time never to return. Amrith Lal is associate editor at the Indian Express. An abridged version of this article appeared in the paper's June 28 edition. Kavalam Kavithakal, Thirusadassu, Vaikkom, 1993. Kavalam Natakangal, Haritham Books, 2008. Sopanatatvam, Haritham Books, 2008. KN Paniker: The Theatre of Rasa, ed. Udayan Vajpayee, Niyogi Books, 2012.